The Yaroslavl Region stands out for its diversified economy, which is its main competitive advantage. 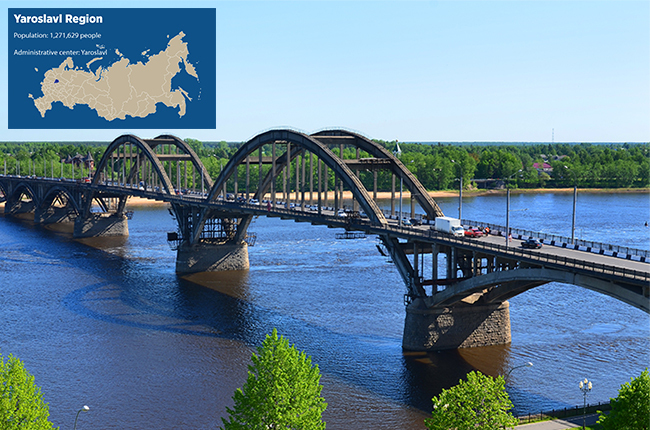 "The Yaroslavl Region stands out for its diversified economy, which is its main competitive advantage. We have the largest data center in central Russia, with 1100 desks. The hi-tech pharmaceutical industry basically started from scratch here. Several manufacturing plants have also been opened here", said Sergei Yastrebov, Governor of the Yaroslavl region. The Japanese mining and construction equipment company Komatsu built its largest factory outside of Japan right here in the Yaroslavl Region. The company is doing well. With sanctions in place, its products have grown in demand on the Russian domestic market. From a financial point of view, the largest foreign investor-based project would be the Huadian-Teninskaya Combined Cycle Power Plant, which boasts the second largest generating capacity in China. In 2014, a plant for manufacturing gas turbines opened in the region. This is a joint project between a Russian company and General Electric.